This new facility was in direct response to the oil boom in North Dakota and was part of a larger fiber construction project. The 14,000 s.f. 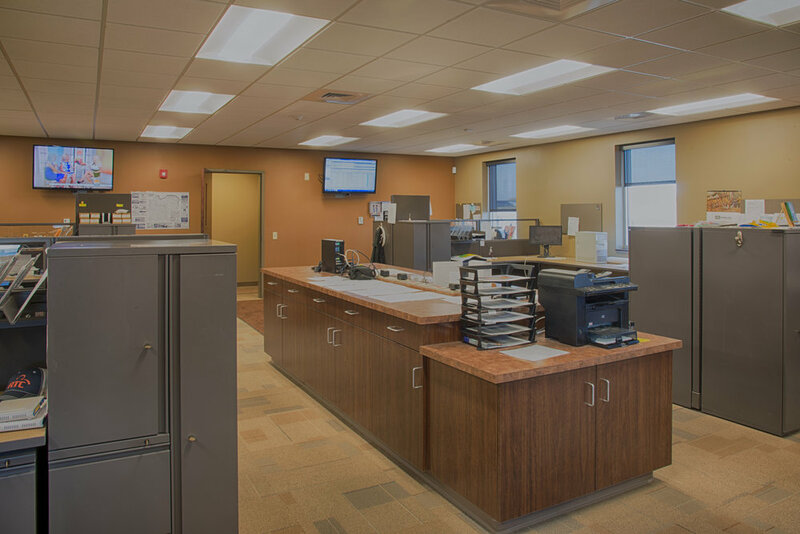 precast concrete building includes garage space for 12 vehicles, data center floor space, technical work space accommodating 12 work stations, 4 general offices, 3 Customer Service Rep offices, mud room/locker room, break room, training room, board room and miscellaneous support space. A large portion of the project involved the extension of utilities to the site. Coordination with state and local officials was required in order to bring water and sanitary lines about a half mile from the nearest connection point.